93Pts- WA - A very complex wine with a long and creamy finish and a good acid backbone. The Five Soldiers vineyard is named after five tall stone pine trees called the “Five Soldiers” that tower over this site. Carefully selected Chardonnay bunches from this area are hand harvested for this special wine and then given royal treatment in the cellar. The final product is a very complex full-bodied wine, approachable in its youth however careful cellaring will exhibit the depth of the wine’s complexity and will reward patience. 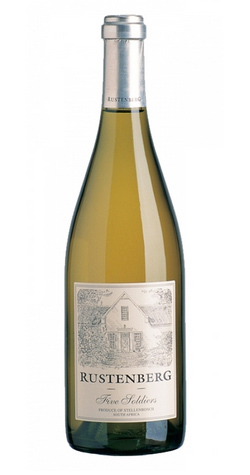 Characters of ripe citrus, melon and peach with great minerality, rounded out by well-judged oaking. A very complex wine with a long and creamy finish and a good acid backbone. The cold wet Winter of 2014 started early and ended late, which is ideal for the vineyards' dormancy; however an unseasonably cool Spring resulted in the vines going into Summer with 10 to 40% less crop than usual. The remainder of the season was warm and dry resulting in one of the earliest harvests on record. Zero disease pressure and small crops of fantastic ripe fruit combined with high natural acids make this potentially the vintage of the decade.